All those events are registered in the Calendar of events. Everyone who would like to follow the current action may do so thanks to online broadcast of Senate plenary session and some selected events, e.g. public hearings. 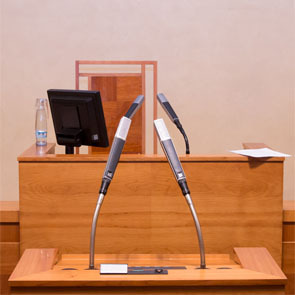 Current plenary session Broadcasts are only transmitted during plenary sessions and events of major importance. Everyone has the right to address state authorities with requests, proposals and complaints in matters of public or common interest belonging to their field of competence (1, article 1 of the Act No. 85/1990 Coll., on petitionary right). The President of the Senate awards Silver commemorative medals to outstanding personalities from the world of science and the sphere of economics, culture, sport and social life who are deserving of recognition in their profession or have contributed to the Czech Republic’s positive reputation abroad. Those who have bravely saved a human life are also acknowledged. Since 2012, the President of the Senate has regularly organised a gala social event on the eve of the Day of Czech Statehood, during which laureates receive Silver commemorative medals in front of distinguished guests and TV cameras that broadcast the event.